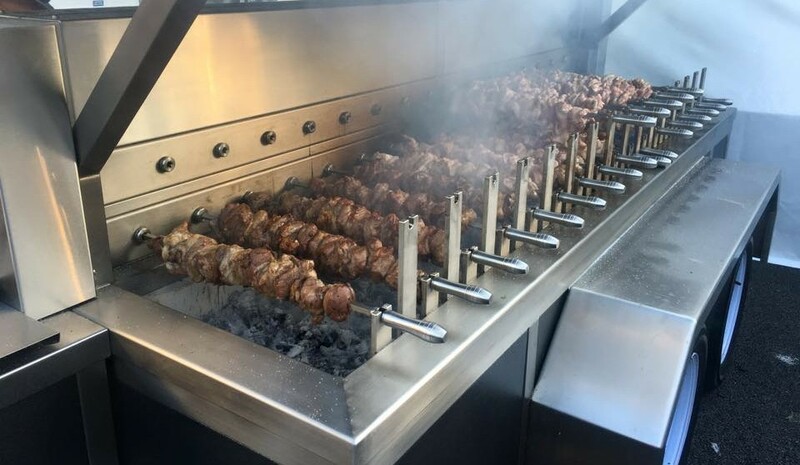 Mouth watering lamb and chicken cooked in the traditional Greek Cypriot method over a charcoal rotisserie grill called “Souvla”. Just follow the appetizing smell of charcoal lamb and let your nose lead the way! 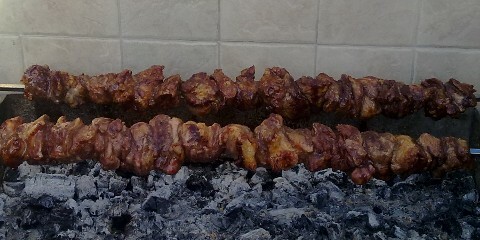 Souvla (Greek: σούβλα) is a popular dish from Cyprus. It consists of large pieces of meat cooked on a long skewer over a charcoal rotisserie grill. 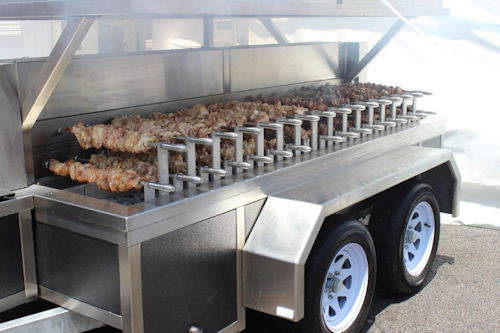 The Souvla Boys will be attending various festivals throughout the year cooking our famous lamb and chicken on the coals. Impress your friends, family or colleagues. 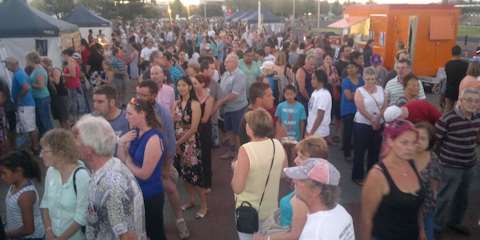 We cater engagements, weddings, birthdays, christenings, work events and more. 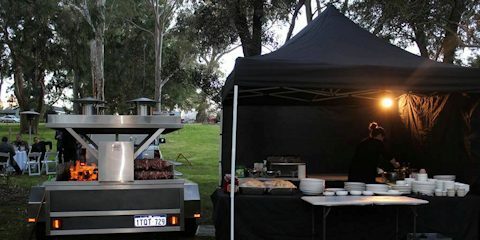 The Souvla Boys is a new mobile food stall offering mouth watering lamb and chicken cooked in the traditional Greek Cypriot method over a charcoal rotisserie grill called “Souvla”. Just follow the appetizing smell of charcoal lamb and let your nose lead the way! Copyright 2015. The Souvla Boys - "What do you mean, you don't eat no meat?"